Next weekend, October 25, 26, we’re gathering to talk shop: the nitty gritty of living and leading missional communities. Below is the line-up and some of the faces we’ll be seeing for the Missional Learning Commons. Look at the entire schedule. Notice where the most time is allocated. The majority of the time is scheduled for dialogue between you who are coming and the presenters. I’ll be moderating as well. Take a look below. How do we lead the church into our local neighborhood/ contexts and what do we actually do when we get there? 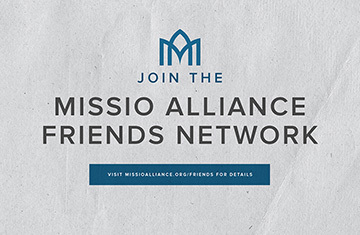 This year’s Missional learning Commons aims to talk about how we lead our church communities into mission. We want to get past the jargon and discuss how we might actually do this. What practices might we use to guide people into God’s mission in their neighborhoods, contexts, work and local third places? Key to this question is the concept of ‘presence.’ We believe that by actually leading in the practice of “being present” with the hurting, proclaiming gospel, and practicing reconciliation, that Jesus promises to be present in the midst. His Kingdom shall break forth and become visible. We in essence become participants in God’s mission in the world. On Friday night Chris Smith leads us through his little e-book The Virtue of Dialogue (Get it HERE free) . Make sure you read it and join us at 7 p.m. at The Commons in downtown Westmont. Afterwards we’ll be sitting around talking at a local establishment. This is always a great time for encouraging one another! On Saturday we’ll be talking about the three practices. Being present (Matt 25: 31-45), reconciliation (Matt 18:15-20) and heralding (or proclaiming) gospel (Luke 10:1-17). The MLC wants to explore these practices theologically and then what does it look like when we actually do this in the neighborhood. We are calling these leadership practices ‘tactics” that can help us lead people into Mission. THERE’S STILL TIME TO REGISTER!! YOU CAN COME ONLY ON SATURDAY IF THAT WORKS. CHILD CARE IS PROVIDED IF YOU LET US KNOW (e-mail me). DETAILS AS TO LOCATION CAN ALSO BE FOUND HERE. SEE YOU SOON!